The Central Park Effect, A Film About Birds and People - Upstate Films, Ltd.
Wednesday, August 22nd at 6pm, Audubon New York presents this free screening of The Central Park Effect, a short film that reveals the extraordinary array of wild birds who grace Manhattan’s celebrated patch of green, and the equally colorful New Yorkers who schedule their lives around the rhythms of migration. Each year, birds travel thousands of miles between their winter and summer breeding grounds, drawing thousands of bird lovers into national parks and forests to watch and admire them. But urban parks and suburban backyards are equally popular places to spot a favorite flyer. Human dominated landscapes provide vital food and shelter to rest and refuel, and they’re becoming ever more important as climate change threatens the future of hundreds of birds throughout North America. 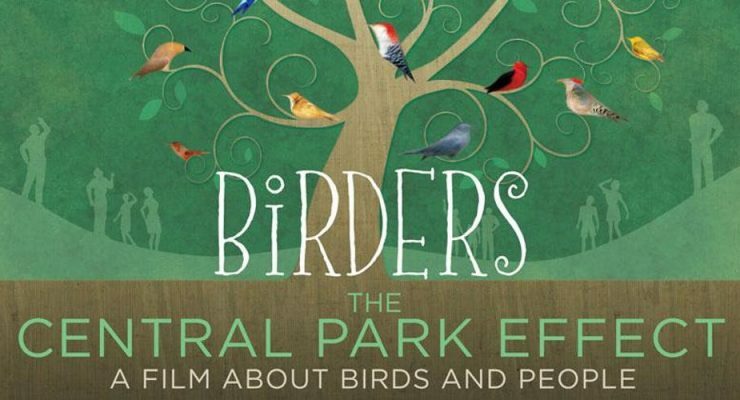 Join us for a film that explores and celebrates such landscapes, followed by an informal discussion about the birds that move through our region, the native plants they need to survive, and how you can make your yard a haven for birds. If you’re already an accomplished native plant gardener, we invite you to share your story and inspire others! Unrated / 1 hr 1 min.